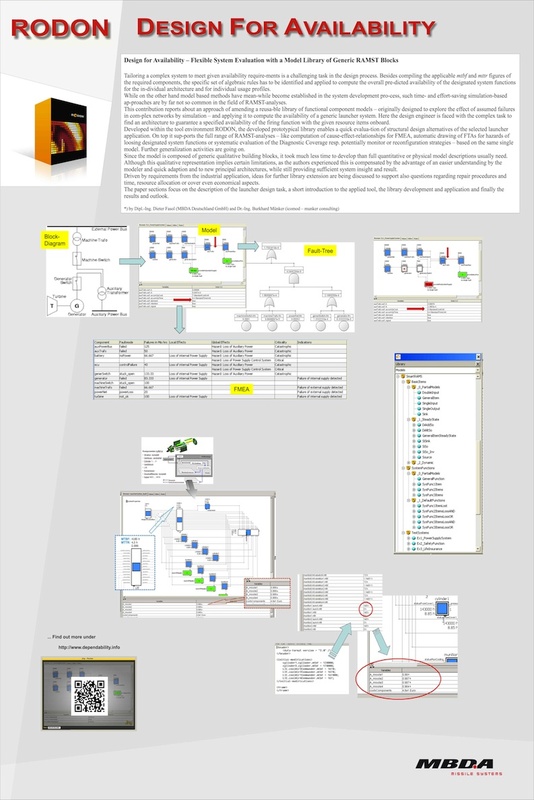 “Design for Availability – Flexible System Evaluation with a Model Library of Generic RAMST Blocks” is the title of our joint presentation at the ongoing First European Conference of the Prognostics and Health Management Society, taking place July 3 to 5 2012 in Dresden, Germany. The contribution reports about a modelbased approach of amending a reusa­ble library of functional component models – originally designed to explore the effect of assumed failures in com­plex networks by simulation – and applying it to compute the availability of a generic launcher system. Here the design engineer is faced with the complex task to find an architecture to guarantee a specified availability of the firing function with the given resource items onboard. The presentation is a joint initiative together with MBDA Germany. The library is still under development. 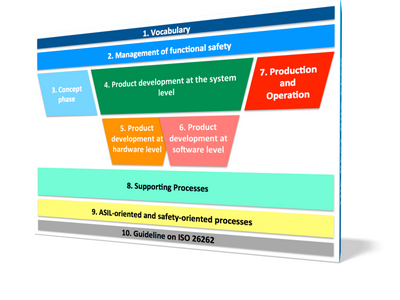 However, we can already use it so support the risk assessment procedure, to compute the availability of a system or to generally facilitate the analysis of failure modes within complex systems. Please contact us if you would like us to apply it on your functional safety project. We will report about this initiative on a separate website.